Proton Studio: Farewell 2013, Hello 2014! Hard to believe that in just a few hours we will be starting 2014. 2013 has been a great for us, especially with the exciting launch of our Steam Greenlight campaign. 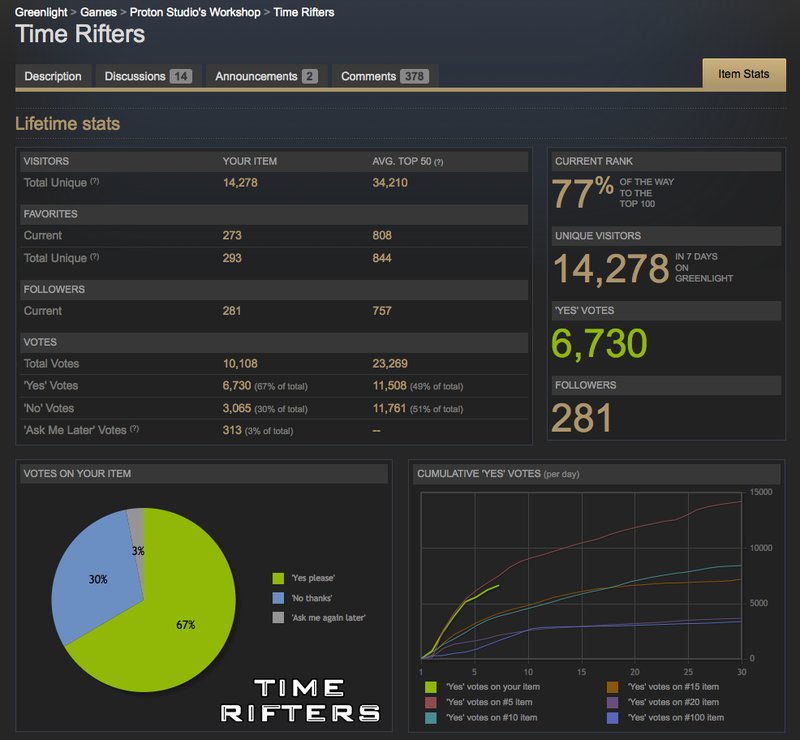 We have been on Greenlight for a week and so far the campaign is going really well. 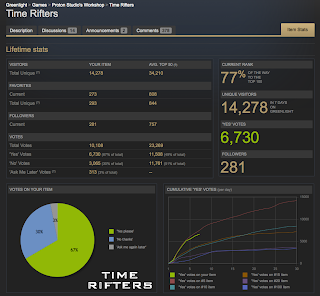 The gif below shows you the progress of the cumulative Yes votes Time Rifters has received over the past week, and as you can see we have been tracking along the top games on Greenlight. Thank you to everyone for your support so far. The latest screenshot of our campaign shows we have received over 6,700 yes votes which puts us 77% of the way into the top 100 on Greenlight. The next 5,000 votes are going to be the hardest to get, but we are really looking forward to being able to post that we have broken through the top 50. Happy New Year eveyone, see you in 2014!